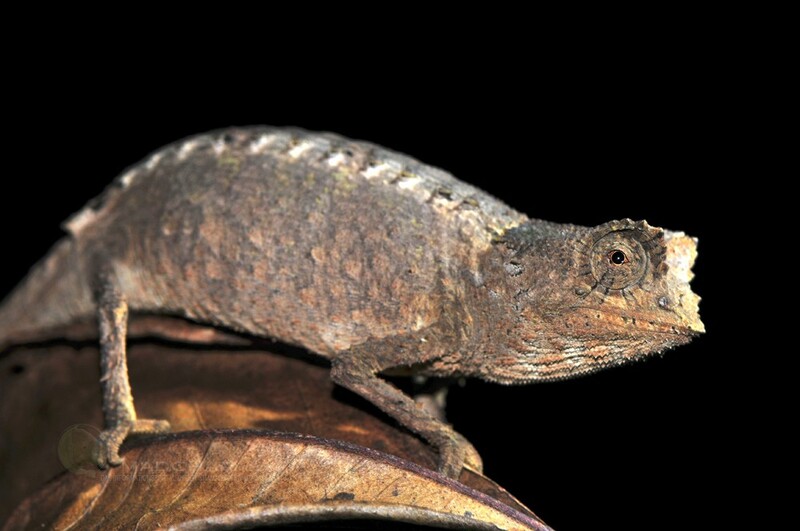 Brookesia vadoni occurs in northeast Madagascar in tiny areas in Marojejy, Anjanaharibe-Sud and Masoala national park. Almost all distribution areas are completely isolated from each other. 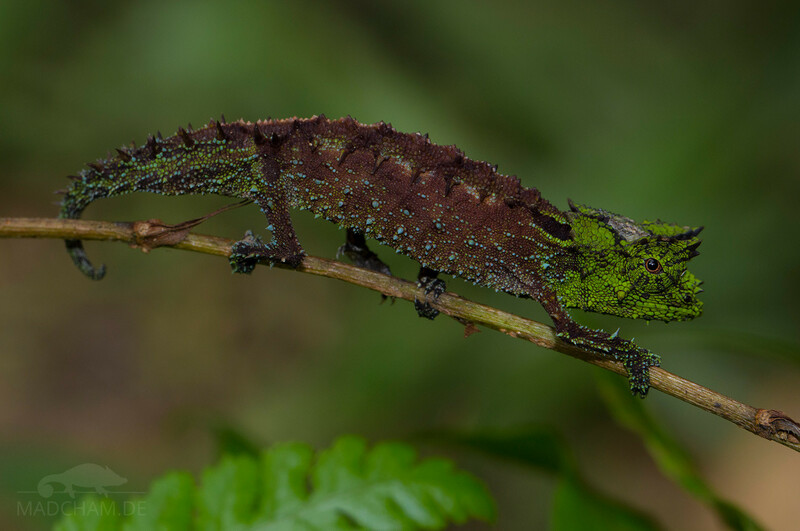 They live in the foliage of the rainforest. 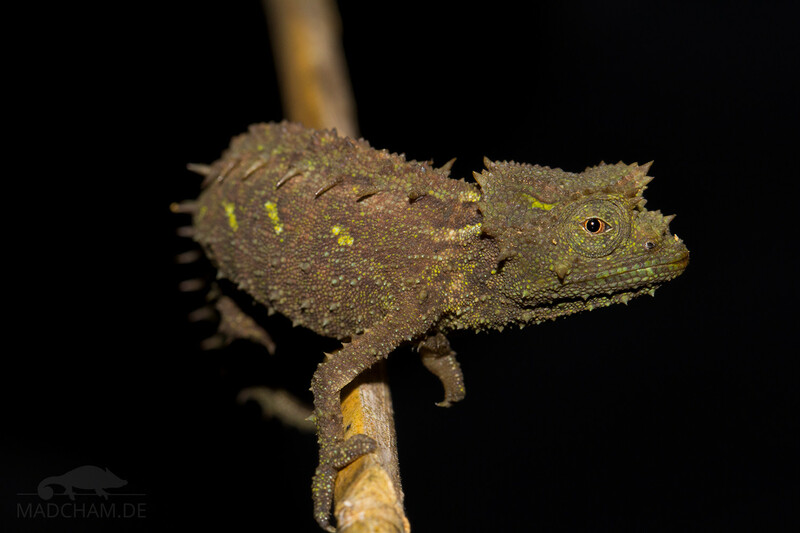 We have been able to find this species in Marojejy, in very inaccessible canyons on an extremely limited area of less than 100 m². 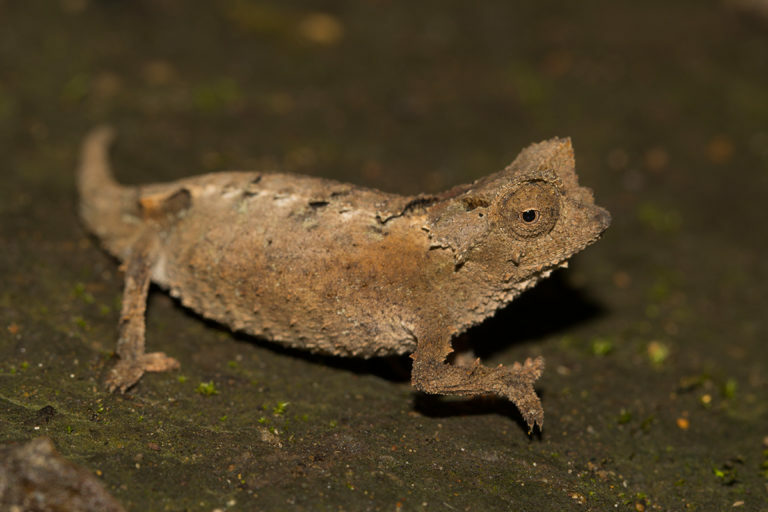 Despite the existing knowledge about the habitat of Brookesia vadoni, it is unbelievable difficult to find this species in the dense, wet leaf litter. It is unknown how many specimen still exist. 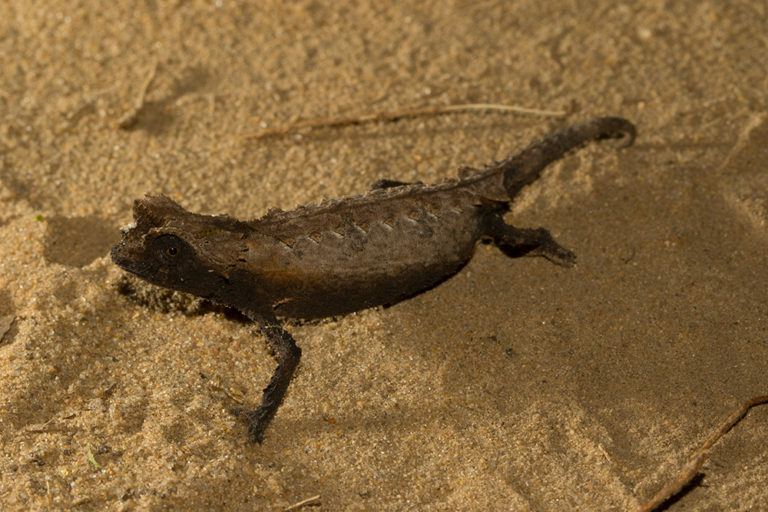 In Masoala, no individual of this species has been found for years. 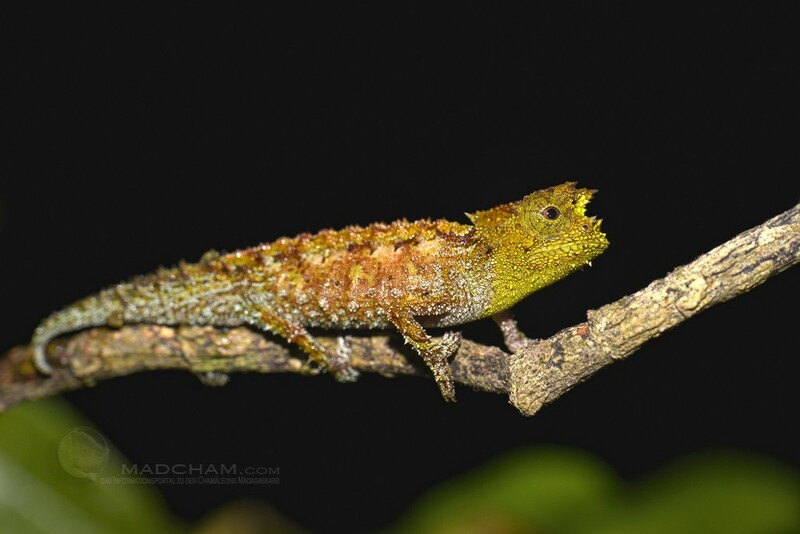 With a length of 57 to 58 mm, this is a middle-sized species among leaf chameleons. 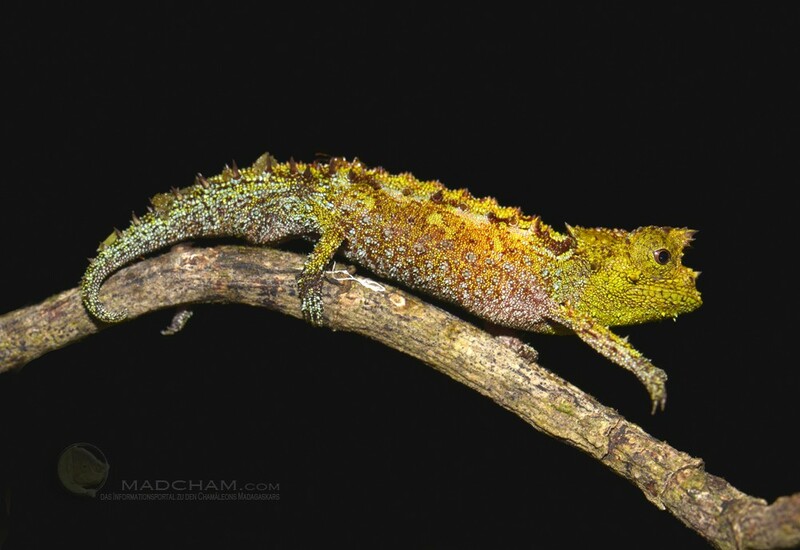 It has conspicious bright colours, and no other Brookesia wears a similar colour range. 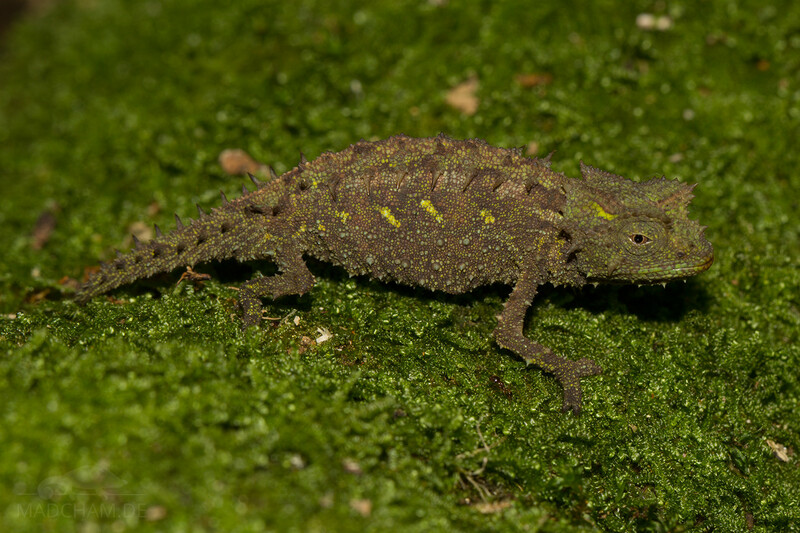 Brookesia vadoni males have yellow and blue spots with various shades. Additionally, both genders have nine latero-vertebral spines that are continued on the tail. They have tubercles on their chins and a distinct cone between nose and eyes, as well as well developed supraocular cones. The population in Marojejy has yellow heads, whereas the specimen in Masoala have green coloured heads. Females are less colourful, they are dark brown with arrowy yellow stripes on both sides. 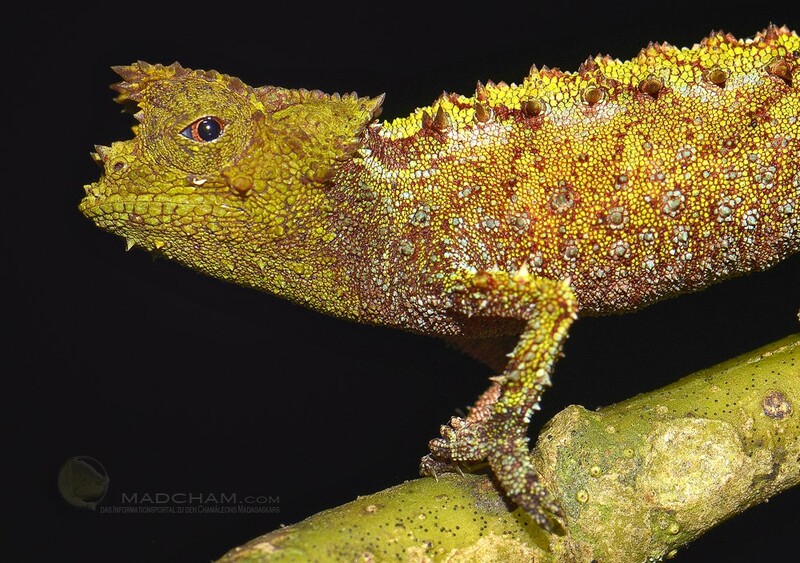 Colour and the spiny look are extremely extraordinary among leaf chameleons, all others are brown, beige or maximally slightly yellow. Marojejy mainly consists of rainforest that extends over the eponymic sacred mountain at elevations of 800 to maximally 2100 m above sea level. 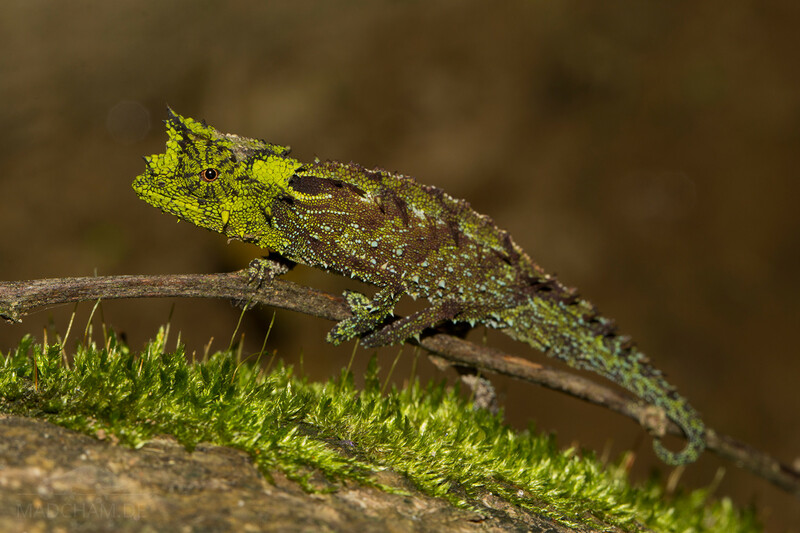 In the highest areas, climate is cool and vegetation sparse, but most chameleons live in the warmer dense rainforest below. In Marojejy, there is few difference between rainy and dry season. Humidity is always very, very high. In rainy season, precipitation is more intense with rainfalls that may last for days and sometimes are accompagnied by heavy storms. 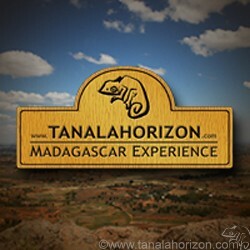 In dry season, temperatures are a little lower, but it never becomes really cold. 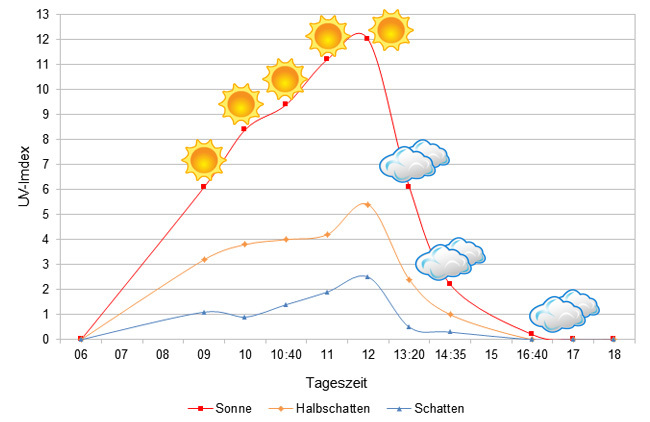 And it stills rains almost daily. It really cannot become dry in Marojejy during "dry" season. 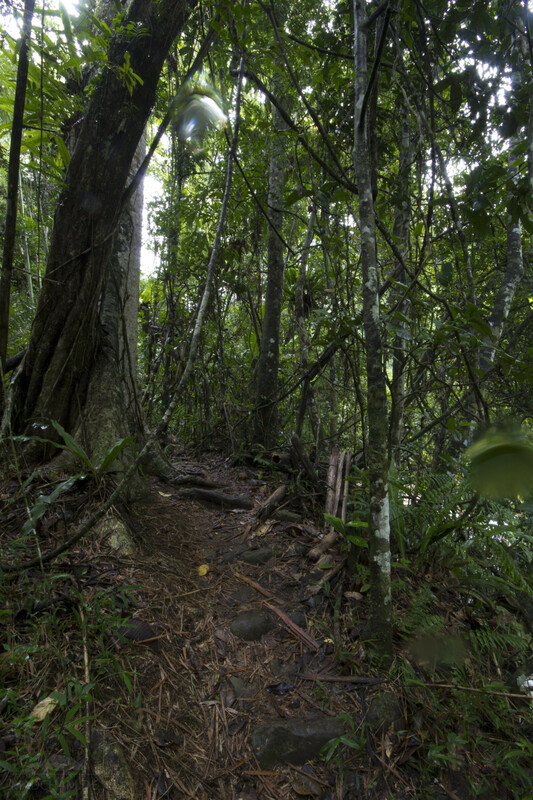 Humidity is the main key factor of this rainforest. 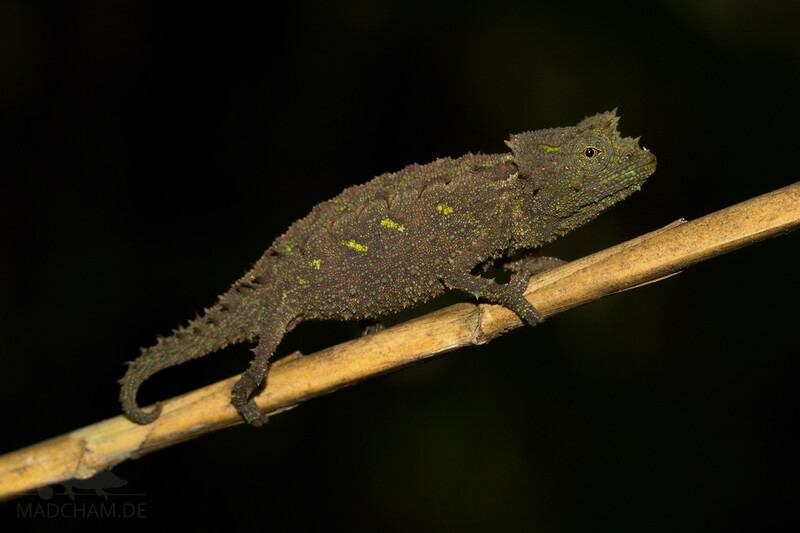 We have measured UVB data with a Solarmeter 6.5 in spring (end of March until beginning of April) at the peak of activity of chameleons in Madagascar. 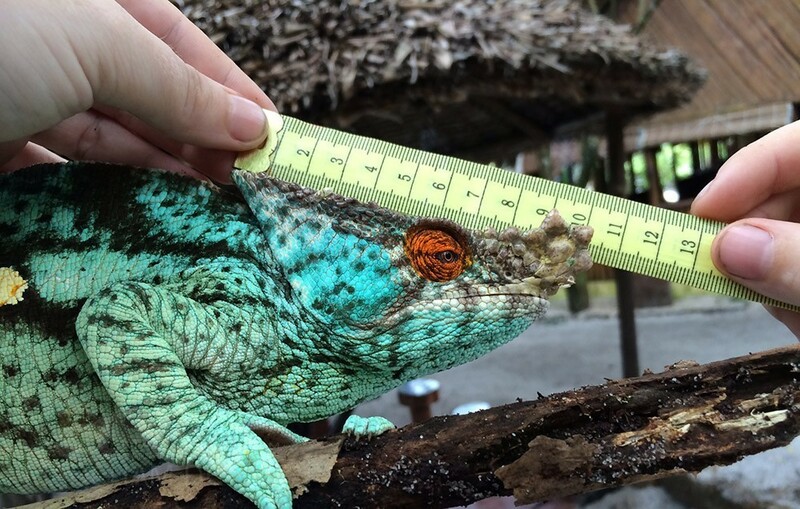 We always measured the values that a chameleon could maximally reach in its habitat. 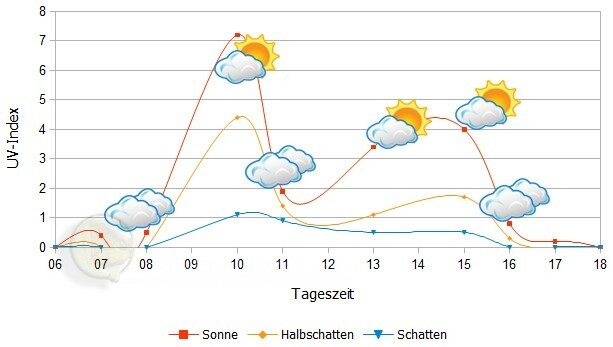 Unfortunately, we have no ground temperatures for Marojejy available yet. 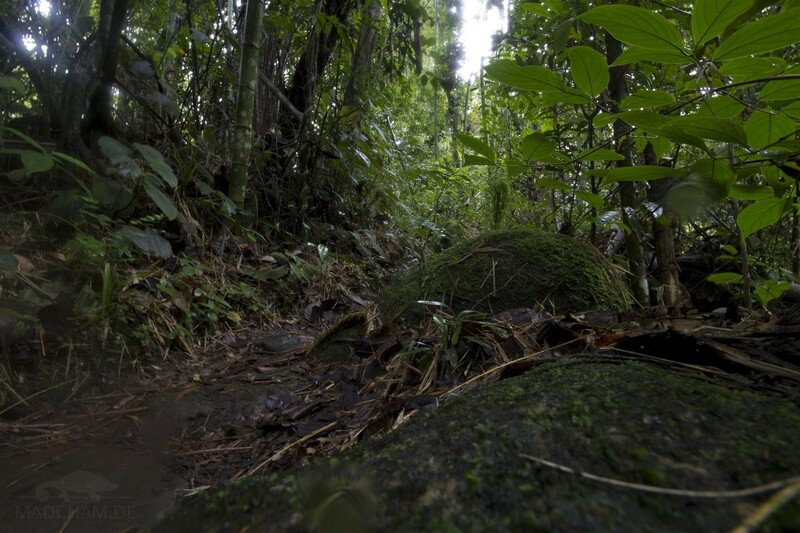 The following pictures show the habitat of Brookesia vadoni in Marojejy. 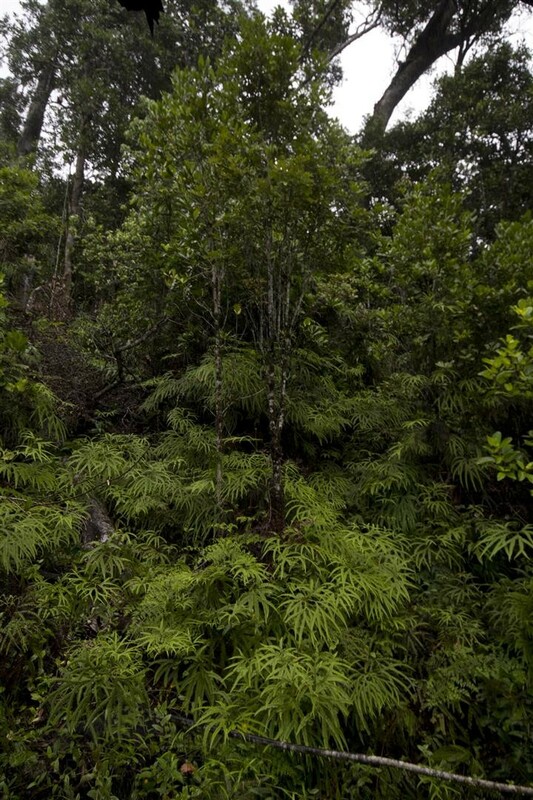 Marojejy is a pristine rainforest with huge tree giants and endless very dense undergrowth. Pieces of bark, foliage, moss, ferns, lichens and liana as well as lots of shrubs, everything is in this forest. The ground is partially very rocky.